Children want, most of all, the attention and time of their parents. 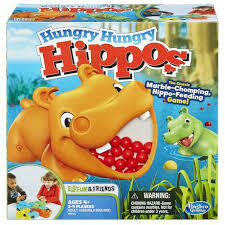 What better way to give your kids exactly what they seek than by sitting down and playing a board game. Games are a great way to relax, unwind, and enjoy each other’s company without the use of technology. Beyond providing the perfect excuse to devote your attention to your family, board games teach a variety of different skills without feeling forced. Playing games is a great way to practice foundational social skills. They require children to practice waiting, sharing, turn-taking, and following directions. Some board games also touch on academic and educational components of learning, such as number sense, shape recognition, colour recognition, and early literacy skills. Games can improve fine motor skills as well as providing a great resource for practicing both receptive and expressive language skills. Games can assist in the development of vocabulary in younger children - using repetition to acquire and perfect different words. In older kids, games become a great tool for building higher level communication within a team. Games also provide children with the opportunity to satisfy their need to learn and master skills. They can bolster a child’s ability to focus while also lengthening their attention spans. Board games teach children to never give up and that there is always the opportunity for your luck to change. They provide the perfect setting to teach sportsmanship and the importance of losing with as much grace as you should have when you win. Often, I think we believe that our kids are too young to understand the rules of a game, but we need to start somewhere. Below are my three favourite introductory games for young children. We started playing games at the age of 2 with Maelle, often with modified rules and definitely with low expectations. This was my favourite first game for Maelle. It is fast paced and requires no waiting or turn-taking. It is quick and you can stop after 1 round if you need to. Bonus, it gave us the opportunity to practice counting. This is a kid-friendly take on the classic game “Kerplunk”. This version is best for new gamers because it provides context for why you don’t want the bees to drop - the bees are sleeping, so it’s bad news if they fall on your turn. I loved this game because it introduced waiting and turn-taking, but not in a long drawn-out way. A quick pull of a leaf and it was on to the next person’s turn. I also loved the fine motor practice, especially when setting up the game, which could occupy Maelle for a long time in and of itself. Another great toddler-friendly intro game. The moving ducks are a real hit with younger kids. This is a simple game that moves quickly but still introduces turn-taking and waiting; all you have to do is find the ducks that match your cards. It is a great way to teach and reiterate colours and shapes. Once kids start to understand the concepts of waiting and turn-taking, you can move onto more challenging games that require a longer attention span. Below, are my 4 favourite transitional games. Classics are classics for a reason, and that’s no different when it comes to Candy Land. Players draw colourful cards to guide their piece along the rainbow path on their way to King Kandy’s Castle. While reinforcing turn-taking and waiting, this game also teaches colours and matching. I love this game because it introduces the importance of strategy as well as luck. Players play an animal card from their hand and place a chip corresponding to a matching animal space on the board. The overall objective is to get four chips/animals in a row. With two of each picture on the board, strategically choosing where to place your chip (whether to block your opponent or to go for a win) becomes the challenge. Not only is this game adorable but it is also fun. 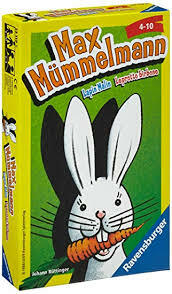 Originally from Germany, it is possible to find under the name “White Rabbit” (although, I think this is a hard one to find). The object is to get the cards 1-6 in your possession but beware of Max Mummelmann as he allows you to steal a card from another player. Strategy comes into play as you decide who to steal from and also remember which direction to move your player, as any direction is fair game! This game also has the added component of needing a keen memory, attention to deal, and the ability to think 1-2 steps ahead. 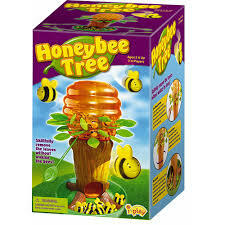 Looking for a game to help develop memory and visual perception skills? This is the game for you. Roll two coloured dice and lift two wooden penguins to find the matching hidden eggs. The goal is to be the first to collect six penguins with their eggs on your iceberg. If you are looking for a cheaper alternative, Ikea has a matching game for $5.99 that has beautiful pictures, won’t break the bank, but will still teach the same skills as Pengoloo.